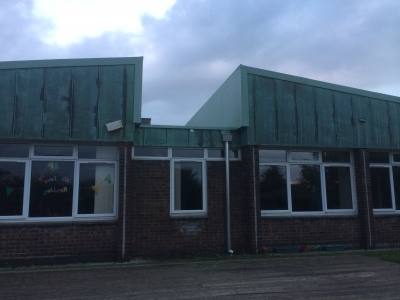 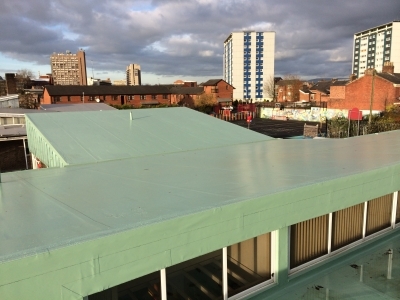 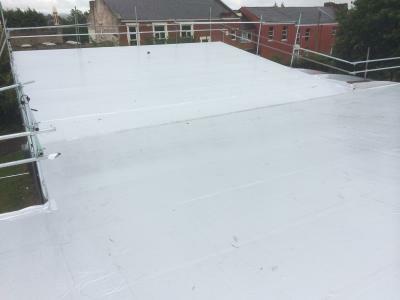 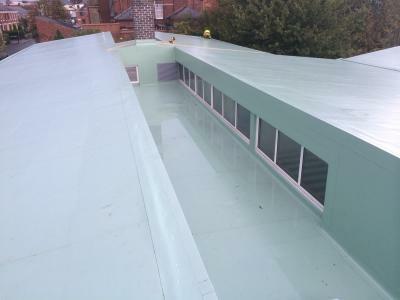 We were contracted by RNL Building Consulatncy Ltd on behalf of St. Augustines Primary School to carry out a full roof refurbishment, Approx 800m2. 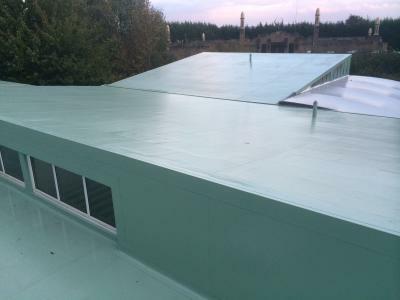 The existing copper roof was to be removed and replaced with a Sarnfil PVC (Copper-patina) insulated system. 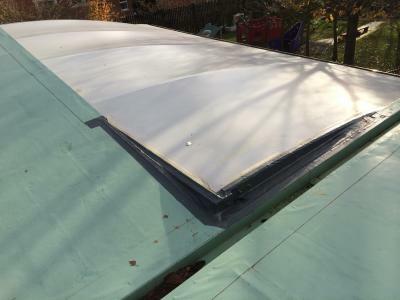 However when the copper was removed we found the timber deck to be in a bad state of repair and not suitable to carry the new insulation and membrane. It was then agreed the existing deck would be over-boarded with new 18mm hardwood ply. 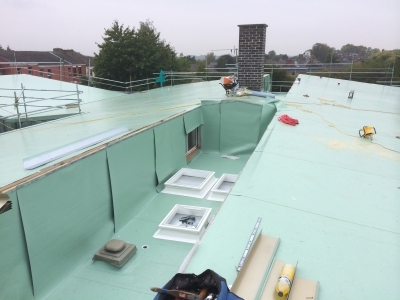 This would provide a more substantial substrate to adhere the sarnfil Insulation and waterproofing system to. 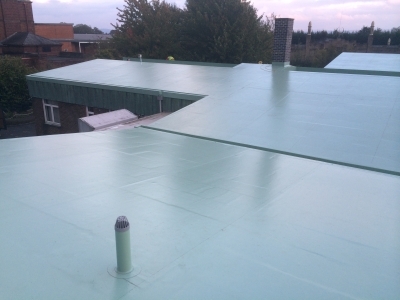 This project was carried out during the 2014 school Summer holidays.